Our Sunday (and Monday, and Tuesday) morning waffles. And yes…those are chocolate chips in a few of them! A sacred Sunday morning family ritual here at the Vastola household. It’s one of those special rituals that you feel like something is missing when it doesn’t happen. It’s not all about the waffles (even though they are goooood); it’s mostly about the one morning a week that is extra special family time. texting games to play with a girlWe’re so serious about our Waffle Sunday…we even have a dedicated waffle plate (that’s what my son, EJ is holding with his Sunday morning bed-head). Most of us think of waffles and we think they’re a “treat” breakfast we have at Mother’s Day Brunch, right? White flour, butter, eggs, sugar…then topped with more sugar. OR they are a convenience food that we buy in the freezer section and give to our kids for a quick breakfast during the week. Unfortunately, very few brands offer any quality ingredients or nutritional value to offer. 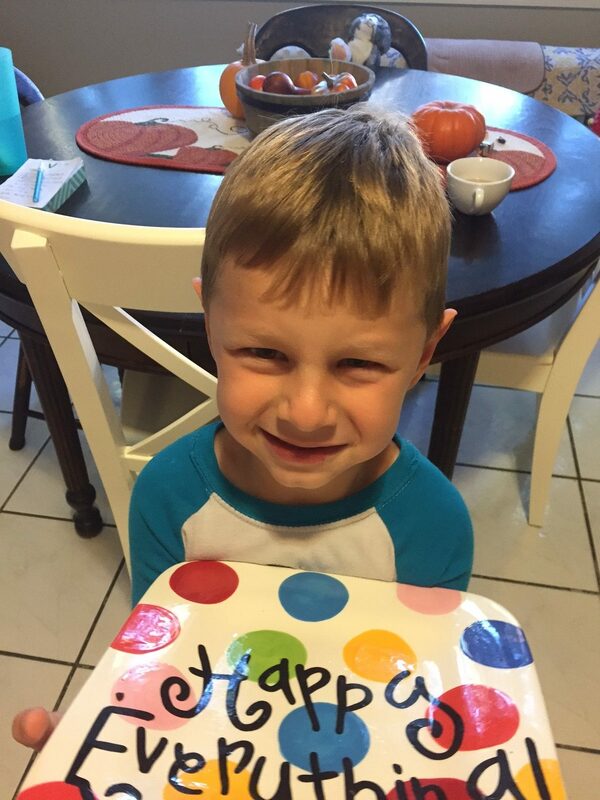 My son, EJ, with our “special” waffle plate. Food is celebration…making it special can still mean it serves you and your health too! Over the last few years, we’ve come up with a way to enjoy our Sunday favorite…even beyond that one weekend morning. 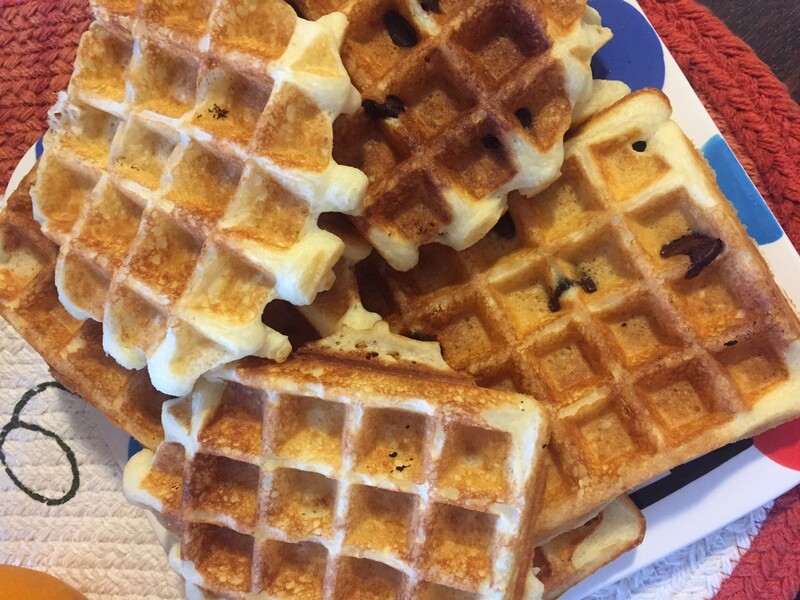 When we first started making the waffles, it was the good ‘ole fashion, white flour, sugar, milk, eggs, recipe…but I found that I would end up overeating and then hungry just a couple hours later. Talk about sugar rush and sugar drop and very little protein to hold me over. So we started tweaking the recipe and after a few tries, we’ve nailed a FAR healthier variation of our beloved waffles. Swapping a few ingredients here and there. I found that when we “upgraded” the recipe, I was satisfied and satiated far longer. Waffles had actually become what we call in our nutrition and lifestyle programs a “Buffer Food” for me. It “buffers” me from late-day sugar cravings and energy crashes. What we do now is double-up the recipe so we have leftover waffles ready for a quick grab-and-go breakfast through the week. We usually get at least two additional breakfasts out of it. Thank you very much Monday and Tuesday busy mornings! For those of you who find breakfast a challenge – think of breakfasts you make on the weekend. If you’re cooking anyway, it’s not much more work to double it up and have it ready for a weekday morning or two. Eggs can become quiche cups, pancakes are easily doubled, breakfast casseroles are an option, too. You just need to pay attention to how it makes you feel. What recipes are sacred in your family? Not all are worth changing (think: that special Christmas cookie recipe or Thanksgiving pie grandma used to make). But for something you eat on a regular basis, start playing with options of how to “tweak” the recipe so it still tastes fantastic and you can still enjoy the experience of the special food (because that’s what it is mostly about). Cheers to special (and delicious) family rituals! *Mix ingredients, let sit 5 minutes, make in your waffle iron. 6 TBSP melted coconut oil: you could use olive oil as well; but if I’m going to add an oil, I’m going to make it one with proven health benefits! *Mix ingredients, let sit 5 minutes, make in waffle iron and enjoy! – Double the recipe for leftovers that you will thank me for when you’re running out the door! – You can always add things like a scoop of unflavored protein powder to boost the protein content, but you may need to adjust the liquid.